This software allows users to retrieve VHD files such as images, audio, videos, database, archive, etc. Hyper-V VHD Repair Tool provides users with an option of advance scanning which helps to recover deleted files and folders from VHD and VHDX files. When the VHDX Recovery Software scans corrupted hyper-v files and recover data from it, after that it generates a preview of items stored in it. Users can view emails, images, documents, etc. 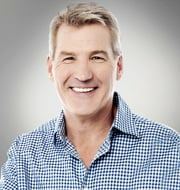 found in the recovered data file. It provides preview of only selected file types such as emails, PDF, documents and text files. 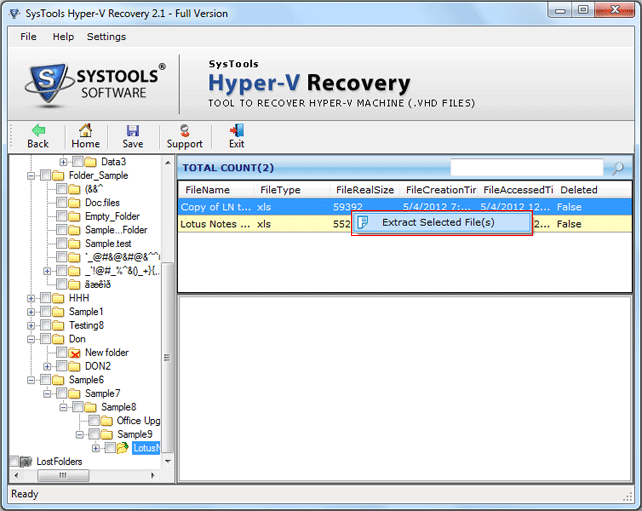 Hyper-V Recovery Software offers several scanning options to restore deleted data from VHDX and VHD file. First, Quick Scan option is for less corrupted Hyper-V files and Advance Scan option for highly corrupted Hyper-V data files. There is Raw Scan option also which comes handy to overcome MBR corruption in VHD files. Raw Scan is performed only when the Hyper-V file is fixed. 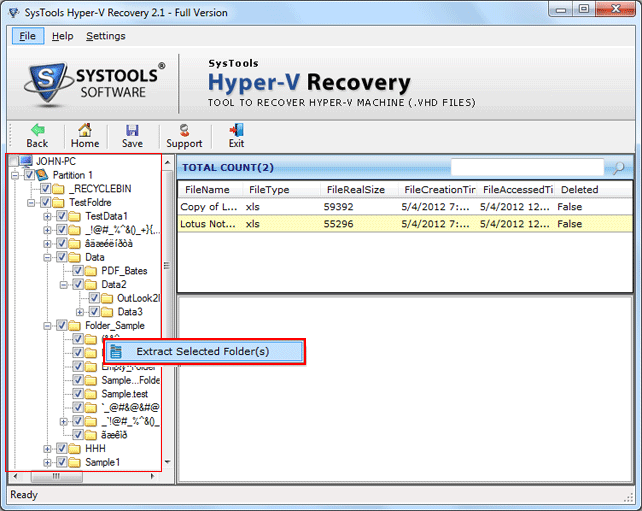 VHDX File Recovery Tool allows users to save the scanned report of the partition. This feature helps users to reduce the time consumption as it provides the option to load the previously scanned details of the partition when it needs to be scanned again. It displays a prompt to save the scanned data or not. While using Hyper-V Recovery Software, users can restore dynamic as well as static data stored in a VHD file. It ensures that the data stored in countless VHD files gets recovered but each file at one time. Also, healthy VHD files can be recovered from the un-installed virtual environment using Hyper-V VHD Repair Tool. In order to recover data from virtual hard disk which is formed as a part of virtualization of Windows OS can be recovered easily using this VHDX Recovery Software. It is designed using such advanced algorithms to ensure efficient and secure restoration of VHD data. This application allows users to recover VHD data file safely from both FAT(16 & 32) and NTFS(4, 5, 8) partition. It supports NTFS & FAT 32 for dynamic VHD and fixed VHD file. Once the VHD data file recovery completes successfully, this software enables users to save the restored data at the desired location. 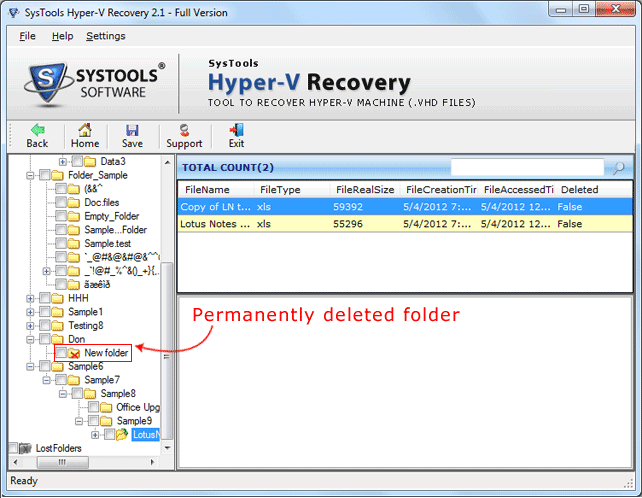 Hyper-V Recovery Tool ensures to maintain the meta property and folder structure of the saved file. 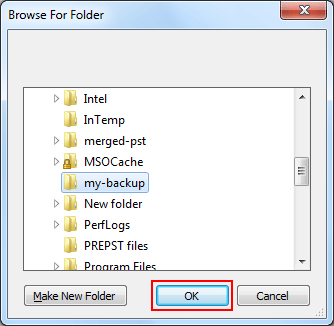 It also offers to recover selected files or items. Users can perform an internal search within the software. 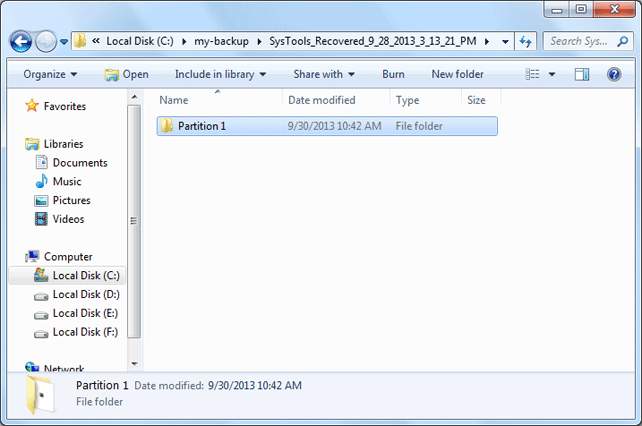 Using this feature, it is possible to find a specific item stored in the Hyper-V data file. It only asks for the name if the file or its file extension and the application will list all the items present in the data file. If the data created via Windows Hyper-V virtual environment gets damaged and displays some error messages then users can remove those error message using this VHDX File Recovery Tool and recover Hyper-V files data easily. 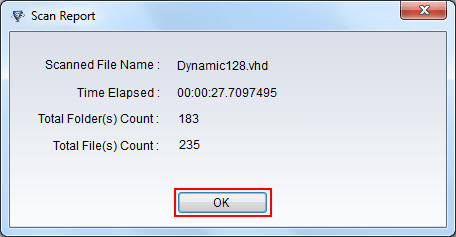 Trial Version of this software provides the preview of the recovered data from the VHD/VHDX file. I have a VHD file of around 150 GB. How much time will this tool take to recover that file? It entirely depends on two factors i.e. size of the file and the intensity of corruption level of that file. If the file is large sized and it is severely corrupted then it will take more time as compared to a file of small size and less corruption level. There is a Red Cross on some of the folders. What does it mean? The folders which are marked with Red Cross shows that those folders are recovered which were damaged or deleted. I am receiving “Sorry, Incorrect File Type” error. Why am I getting this error while recovering a VHD file? If you are getting this error then please check the file extension of the file. If the extension is .VHD, then change it to .vhd format. Does this application supports recovery on system which has Windows 8 OS installed in it? Yes, Hyper-V Recovery Software is compatible with Windows 8 and all other Windows OS version without any compatibility issues. Does this software recover VHDX files also? 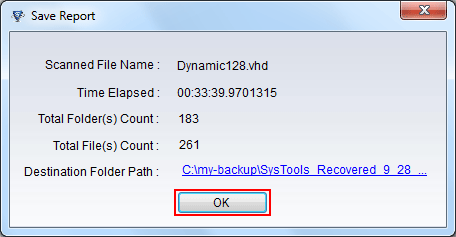 Yes, this VHDX File Recovery Tool is capable enough to repair corrupted VHDX files also. It was really tensed situation for me when I lost my data and wanted to get back data from those Hyper-V files. Then my colleague told me about this Hyper-V Recovery Tool and I was amazed by its outstanding working and performance. It has so simple and user-friendly interface. This software made my work a lot easier. 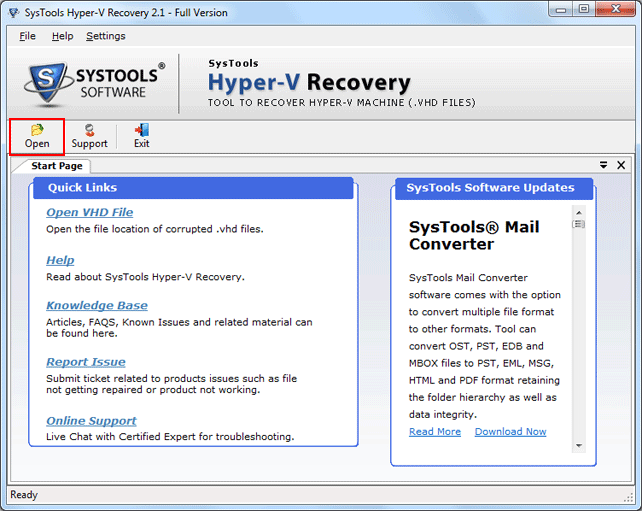 I found this VHDX Recovery Tool when I wanted to repair corrupted VHDX files. I have tried some other software also but they are not able to recover lost data exactly in the way I want. There is one amazing feature in this tool i.e. Raw Scan which provides us with the option to overcome MBR corruption too.